A job well done! A BIG THANK YOU!! Success could not have been achieved without the hard work of Regional/Chapter Presidents and Team members who worked day and night to ensure the event in their city runs smoothly. Their effort in advertising the event, selling the tickets, collecting donations, forming a team of volunteers and managing all event activities before and during the program was incredible. We simply have no words to express our gratitude to all these people, A BIG THANKS to them. Ekal Sur Ekal Taal concerts, the multi-faceted, dynamic presentations of Nritya (dance), vocal music, instrumental music and acting, inter-woven into various Indian traditions and cultures, was a unique variety program surpassing the expectations (and doubts) of all the Ekal supporters and Ekal volunteers. It touches us more intimately as the artists are our own Ekal family members/pariwar. As many of you are aware, the program planning was started since the Ekal national meeting at San Diego, California in October 2015. 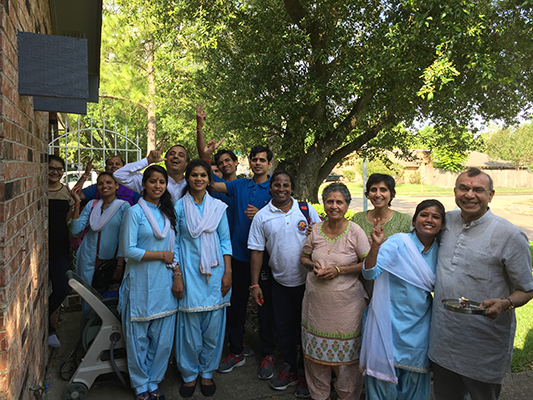 The group was stationed in New Delhi in a flat together since the September 2015. The artists worked very diligently for more than 16 hours a day, starting at 6:00 AM every day for the last 18 months before landing in USA. 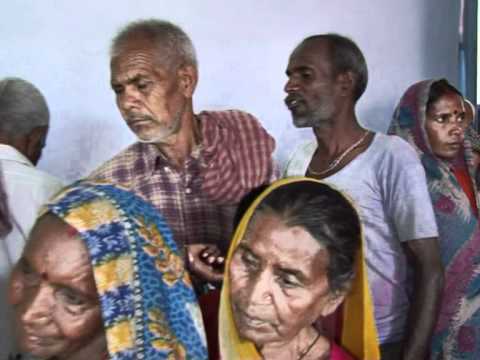 Shri Murari Lal Agarwalla, executive president of the Ekal Vanvasi Raksha Pariwar Foundation was responsible for the welfare and guidance of the group. Artists were trained initially in classical vocal music by renowned music master Shri Sanjay Prabhakar ji and Smt Maya Shravan Agarwalji. 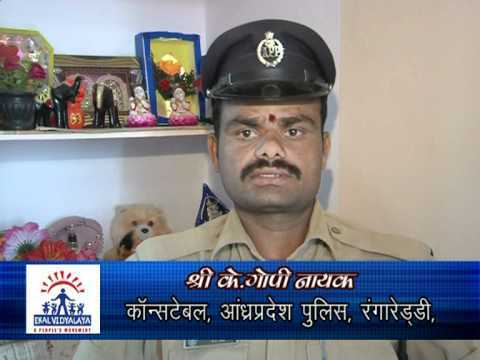 Further they were trained by various professionals. 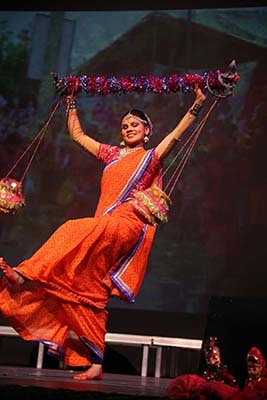 Overall program, concept and design, including costumes, makeup, graphics and studio recording were done by Shri Harivansh Pandit of Mudra Media Communications in Delhi, Shri Himanshu Pandey- Professional performer and trainer, Shri Sunil Nirman- Tabla Player, Shi Khemchand and Rajeshwari- Choreographers, dance trainer and planners. Mrs. Kokilaben and Shri Ramesh Bhai Shah’s involvement and voluntary service to accompany the artist and travel with the bus for the last four months. Without Ramesh Bhai’s involvement, this event would not have been possible. Many of our Ekal Karyakartas had also accompanied the artists in the bus. Mr. John Eusepi was always in the” Driver’s Seat” for the last four months; steered the Ekal tour well, has helped the artists and the Ekal Pariwar with full dedication, such that he has become an Ekalite. John’s service is commendable. 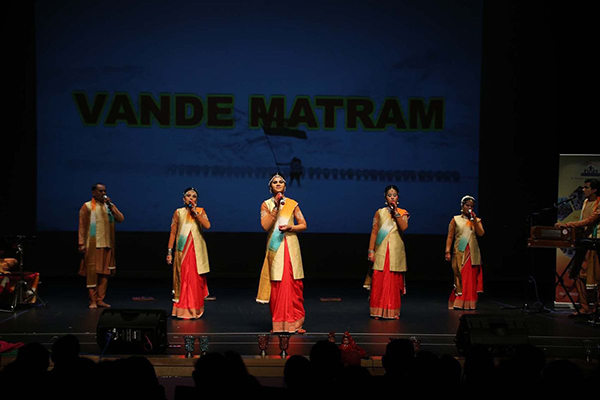 Last but not the least, the concept was well-coordinated on a day to day basis with, continuous efforts by the teams of EVUSA Event Committee, EVFI and Hari Katha Samiti for more than 16 months before the arrival of the artists in the USA. 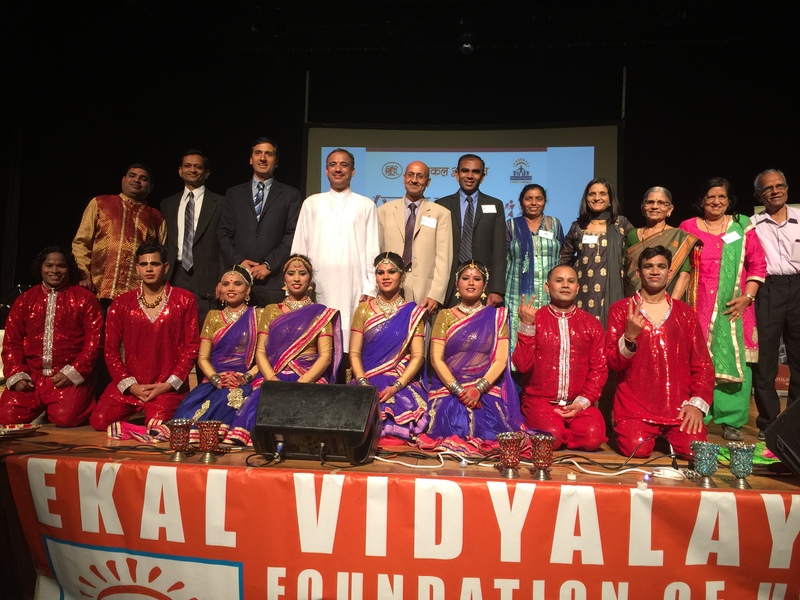 We must applaud the tireless efforts and energy of our Ekal Kalakars in presenting a unique, beautiful, multicultural and multifaceted audio visual compositions of impressive and memorable modules. These were one of the best ever fund raising shows EVUSA has organized during the last 17 years. 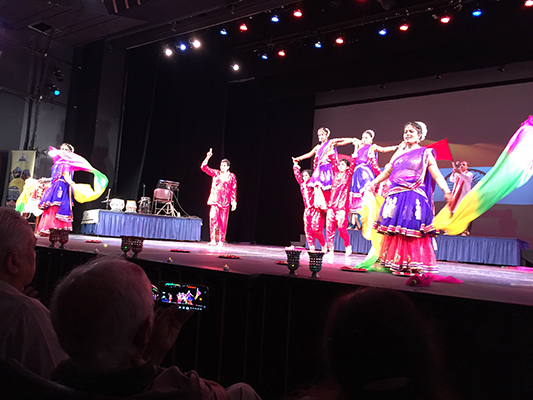 Under the beautiful southern California sky, 300 guests attended the evening event at the Agoura high school arts centre, richly decorated by Ekal volunteers, highlighting various activities of Ekal Vidyalaya. The program started with invoking Goddess of Knowledge in Sanskrit language. In the rest of the evening Ekal arts, enamored the crowd with their Ekal Sur Ekal Taal- with four segments - devotional, patriotic, folk dance (different regions of India with vivid costumes and music which fascinated the audience who were spell bound), and Bollywood medley with synchronized visuals. The audience were moved literally to enthusiastically support 250 additional Ekal schools. 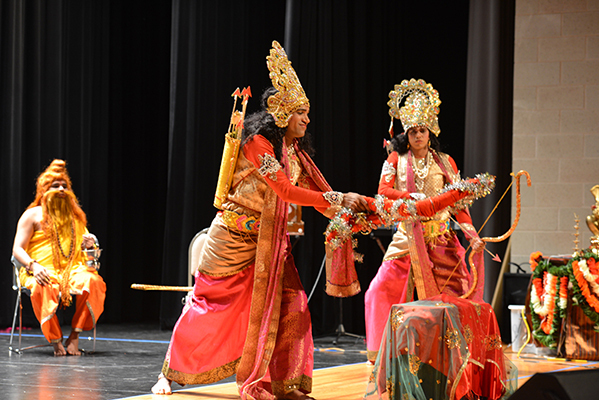 The grand finale was a short skit on Ramayana choreographed as a dance/ drama with stunning visuals. Austin program attended by 300 plus audience was a resounding success. Our tribal artists from Ekal, India adapted themselves very well. Austin raised funds for 125 schools. 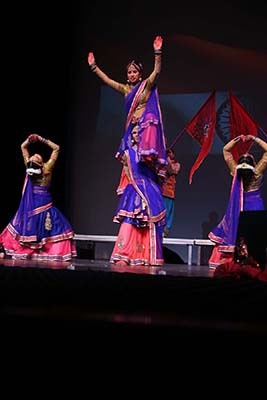 Artists enjoyed larger stage with freedom to move and perform. 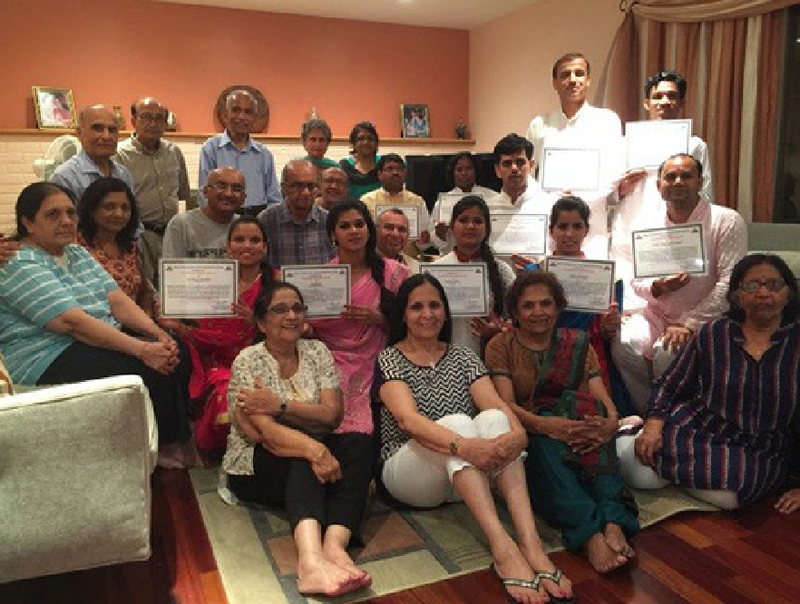 Song of Apna Ekal, Boston Ekal President's Poem/ Gazal and Ranjaniji's talks and dancing resulted in standing ovation at the end. It helped the chapter raise funds for 800 schools. The show of Ekal videos, Ekal song, Donor Vanyatra experience and HFRI discussion were very well appreciated by the audience. The program was immaculate and flawless with all the necessary paraphernalia. 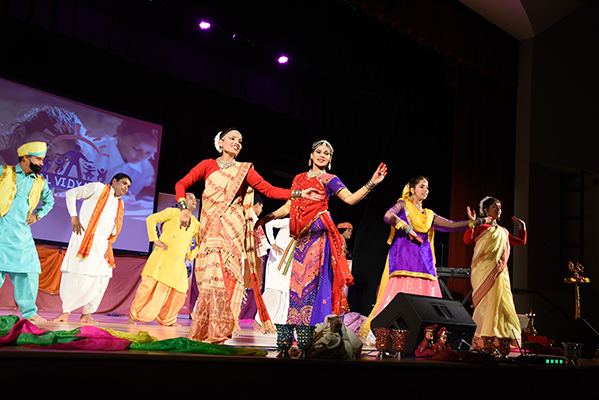 About 300 people attended the program and funds for 150 schools were raised. The artists performed very well which was appreciated by all concerned. The program resulted in raising about 100 schools. The tribal Kalakars belied the skepticism of volunteers (in 2016), who were in full joy that the risk in bringing in our own kalakars was more than justified in many productive ways. 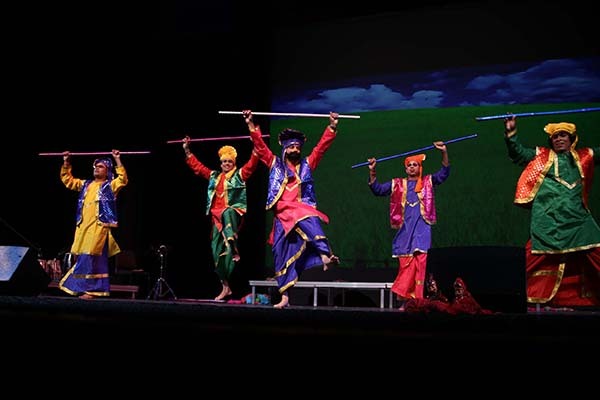 Audience complimented that this was the best program so far by tribal brothers and sisters, and there was a demand for different variety also in the times to come. 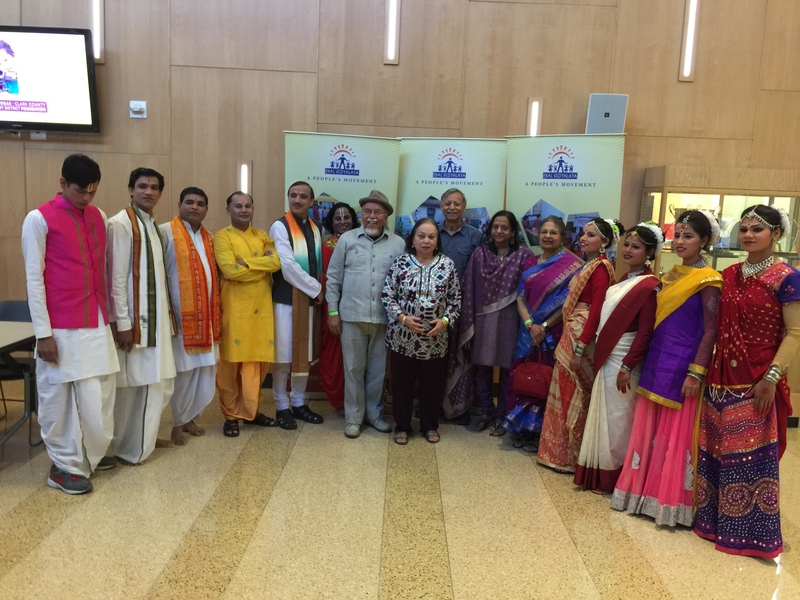 The Houston team hosted 950 audience, and fund raised to U.S $550,000. Donations also poured in for Ekal on wheels for Indore, MP area. 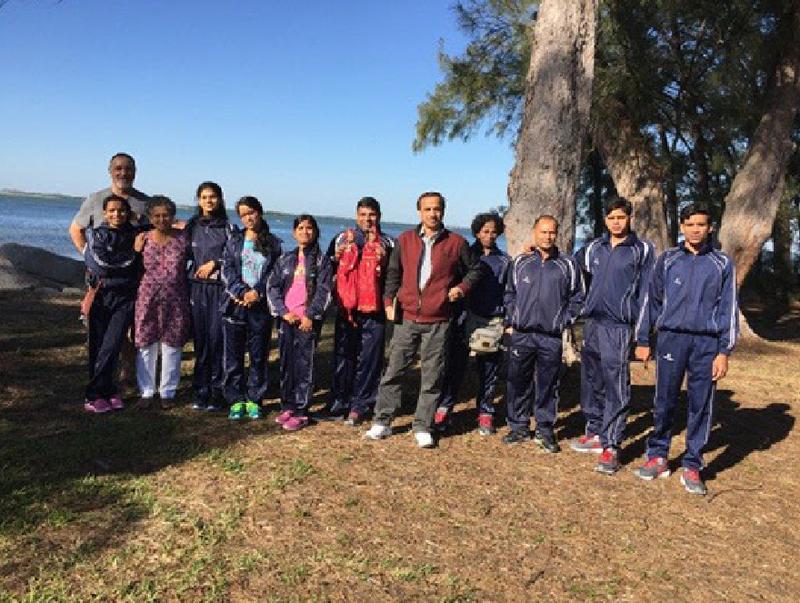 Around 20 kids, under 14 years, successfully helped to make the program great. 8000 U.S. dollars was collected to support Ekal schools. 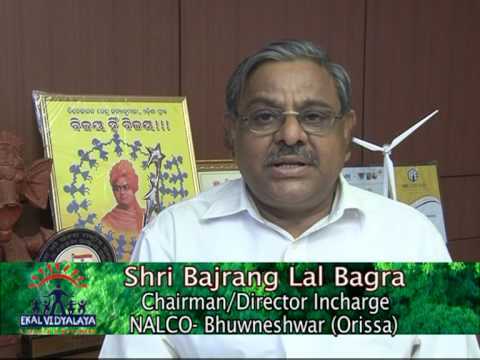 Ekal supporter Bhupen Ganatra had to write this to Kalpana, one of the prominent Ekal activists: The vibrancy and magnificence of the performing artists from among the 'under-privileged students and remote village teachers was just mind boggling in grandeur and style. 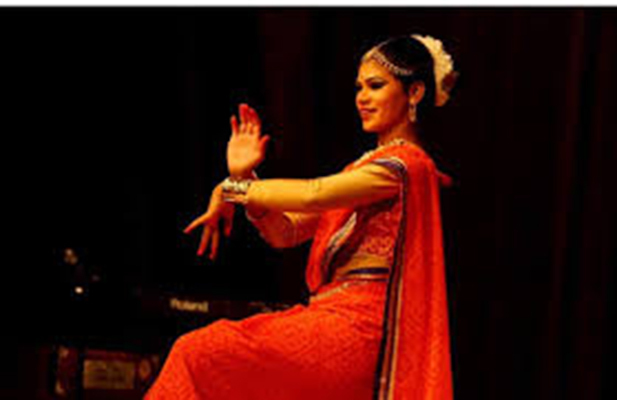 Gujarat to Bengal, and Punjab to Kerala- all varieties of regional dances demonstrated the depth of the multitude talents of the artists - indeed it was 'a Multiple Sur, Multiple Tal! !’ Wonder how next year this is going to be bettered. Planning, arrangements, stage management were excellent. 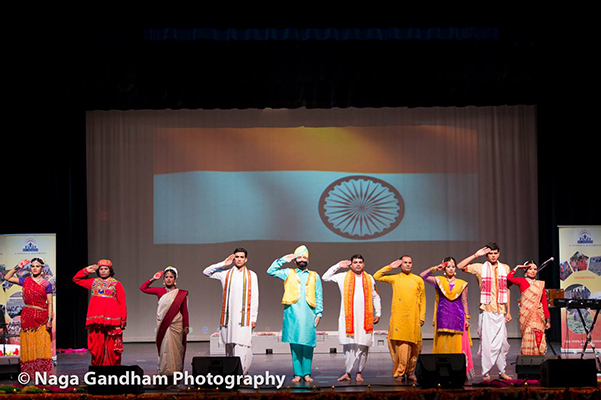 The artists capped them all with their splendid performance. Some from audience even showed interest to become volunteers. The auditorium was full to its capacity of 400 - all tickets sold out. Funds for 350 schools were raised. Fairfax Verginia successfully conducted Ekal Program on a Friday evening. The highlight was a ten year old school boy donated for one school from his pocket money. Funds for about 95 schools was raised. 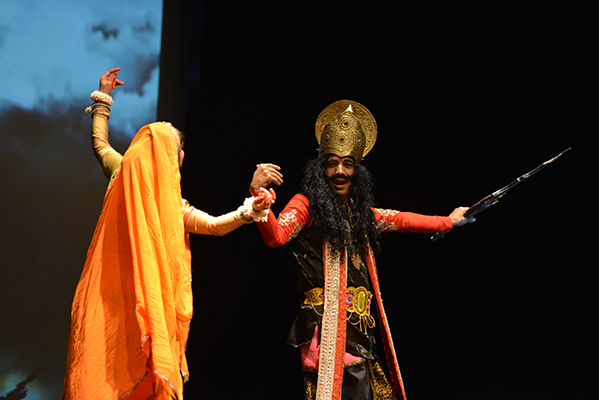 The audience felt emotional attachment and there was a standing ovation to the artists. The program helped raise funds for 450 schools. 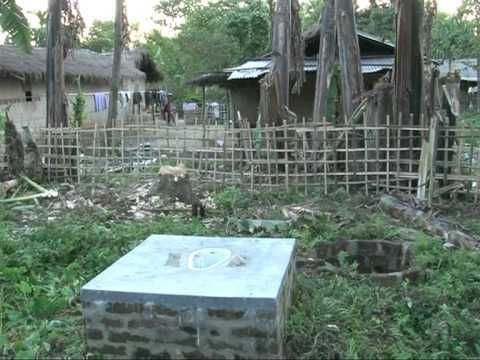 Apart from this, Shri Satish Malik gave a cheque for $30,000 for a tailoring centre in Tinsukia, Assam. A digital Bus donation for Rajasthan and Jammu and Kashmir area was requested for consideration. 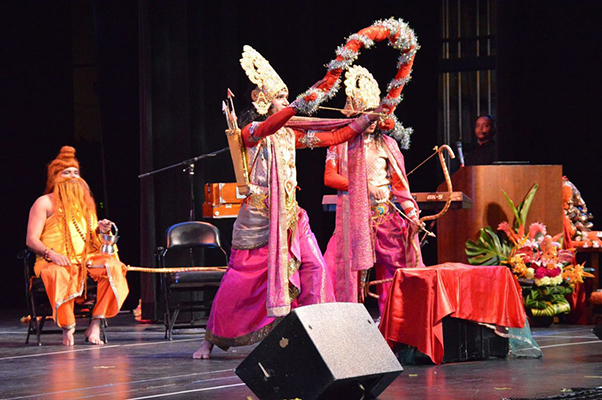 The artists moved the audience with their splendid performance at Hindu Samaj Temple. This resulted in raising funds for more than 210 schools. The program was much enjoyed and appreciated by the audience. Mother of the chapter president Shri Boby Mirchandani, who is 94 years old wanted to come to Bharat and serve the people. Funds for 110 schools were raised. The program was planned and organized well. The audience enjoyed and greatly appreciated the artists. Funds for 400 schools was raised. It was a very successful program with almost house full audience and very enthusiastic supporters. Funds for over 200 schools was raised. The Capitol Chapter Team organized a successful program. More than 600 people were present and all enjoyed the program. Shri N K Mishra, Minister for community affairs, Govt of India, attended the program and also spoke about Ekal Vidyalaya effect on rural-remote India. They raised funds around 100 schools during program. The Scranton PA Team did a good job. It was a very good program in a nice auditorium of the Dallas High School PA. They raised funds for 80 schools. 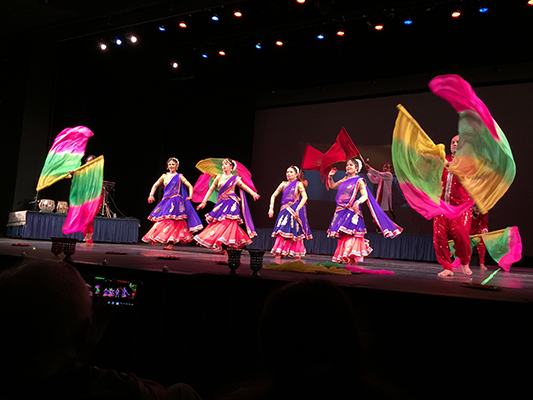 The tribal artists performed very well on the large stage. It was an excellent performance by tribal artists from India though it’s a small stage. Sunil ji, president of Shrinath ji temple matched the funds raised during the program which resulted in funds for 135 schools. 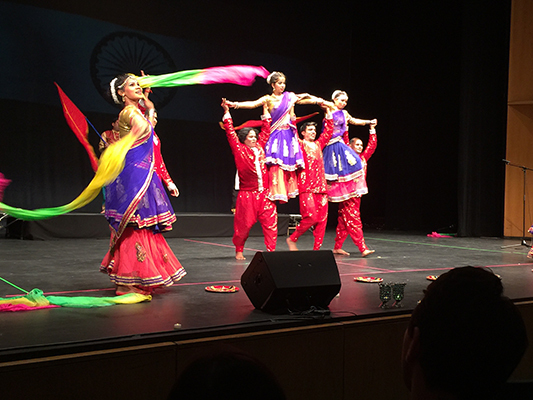 The excellent performance of the artists were enjoyed by a decent audience strength of over 160 people. The program raised funds for 50 schools. 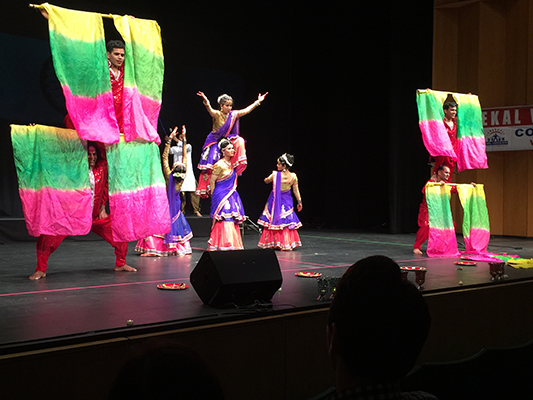 It was a decent program at the make shift stage at Woodlands Hindu Temple Hall. 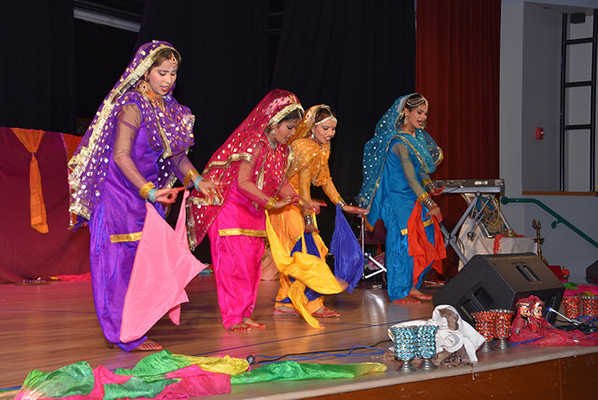 The audience enjoyed the performance of the artists. Funds for about 80 schools was raised. 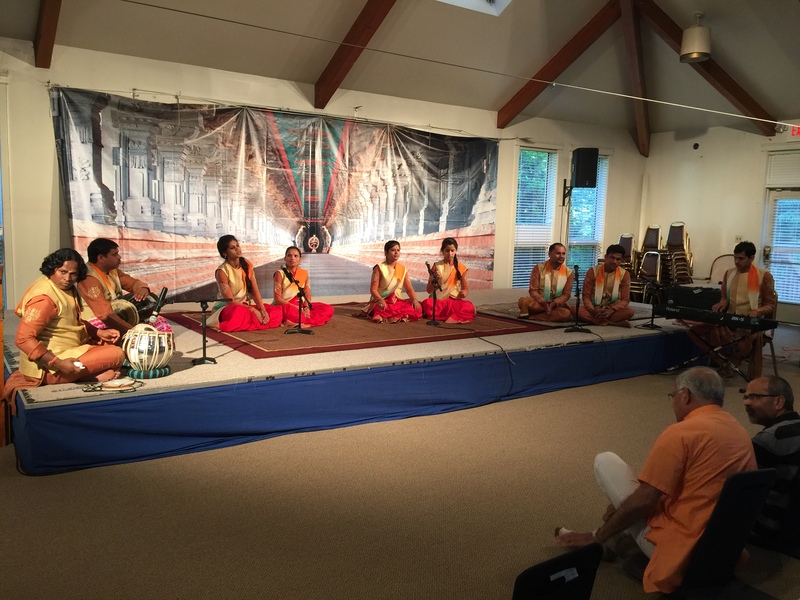 Bhajan Sandhya was conducted in many places – Hari Om temple, Vraj dham temple, Rhode Island temple, Shri Sai Samadhi Mandir, Billerica (Boston) and Shri BAPS Swami Narayan Mandir, Robinsville, N.J. In Hari Om temple, Mangal Charan, Meera's devotional songs, Ma ta Ka Bulava, Ranji Ki Saran by the artists were heartily appreciated. In Vraj dham temple, Vaishnav Jana to, was sung. 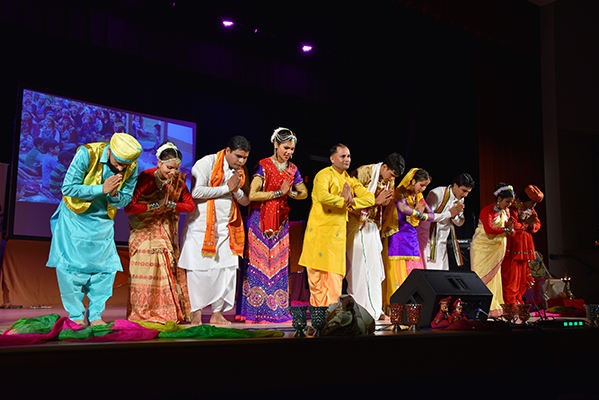 Some devotees joined the artists in dancing with devotional songs. Patriotic songs were also sung inviting appreciation. From a very humble background from far remote tribal villages of India to over 50 cities of US!! They were coming out of their village for the first time and to a country like US, well developed one; first time in flight; non stop bus travel for over 4 months; one state to another to yet another; day travel and evening performance; the joy and lessons, the love and relationship during this journey of these tribal kalakars will be remembered by one and all associated, for a long time to come.